The AACC psychology club met to discuss the lack of women in academics and research in the field on March 26. “One of the issues with getting representation in academic settings and research settings … women authors are notoriously under cited,” said psychology professor Jared Jenkins. Jenkins said one of the ways psychology articles get promoted is from how many times they’ve been cited. He explained that articles with a female name attached is less likely to be cited. Many times female authors will abbreviate their name to make their gender less obvious. 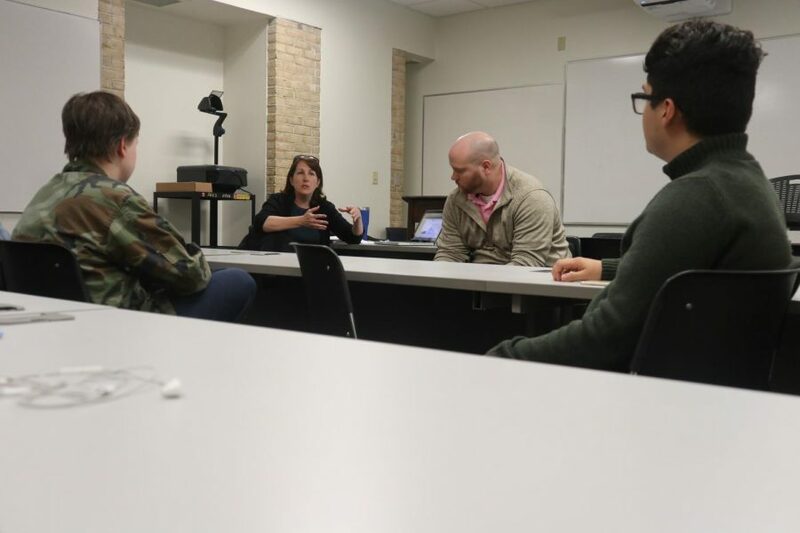 “One of the issues we still see with women, this is true with me … I stopped to have kids,” said psychology professor Julie Grignon. Grignon said that is was normal for women to not reach their career goals because they stopped to care for their children. Third-year transfer studies student Amaya Odgers shared a similar experience and said many of her coworkers at Panera are women who have stopped in their career path to raise their children. The club meets every Tuesday at 2 p.m. in CRSC 217.